Used in conjunction with Rekola Addon EVA pouches with clips Article 10-900111, 10-900112, 10-0000010 and 10-0000013. Adjust length of the belt to the required size. Lock and unlock by using the buckle locker. Knitted Polyester belt and Polypropylene buckle. Polyester and Polypropylene can be recycled or offered for energy generation. 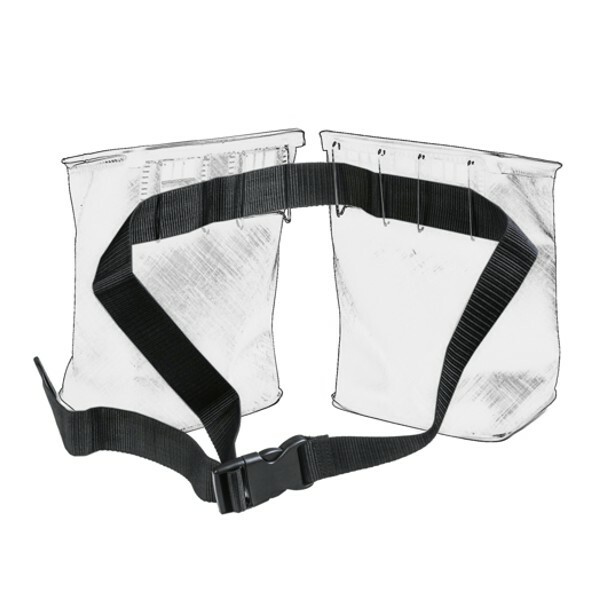 The belt is the optimum carrier for time saving Rekola AddOn EVA pouches when worn during the cleaning process.